Unnada Chewpreecha is principal economic modeller at Cambridge Econometrics. 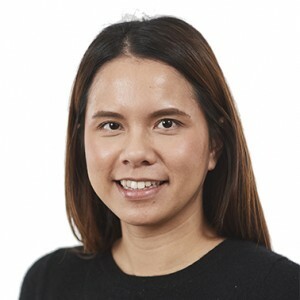 She has over 10 years’ experience in the development and application of CE’s E3ME model, as well as custom-made country-specific E3 models for Thailand, India, Brazil, Kosovo and the US. Her expertise is in the application and development of E3ME and other models to provide macroeconomic analysis of the climate, energy and resource efficiency policies. Her recent E3-modelling contributions cover a variety of topics including energy and resource efficiency, carbon and energy taxation, environmental tax reform, renewable policies in the power and transport sectors, and regulatory standards. She acquired specialist knowledge of the East Asian economy, stretching to ASEAN countries through her contribution to various chapters of the book Low-carbon, Sustainable Future in East Asia, which evaluated a set of decarbonisation pathways across East Asia. More recently, she was in charge of developing the E3-Thailand model which will be used by local policy makers to understand impacts of different options to meet the Thai NDC target. Beyond her technical contributions, Unnada has extensive project management experience. She also regularly runs E3ME and general macroeconomic modelling training courses in the UK and abroad.